Register for the 2018-2019 Season! Citizens and its community partners provide vast opportunities for recreation in neighborhoods all over Nassau County from September through June; and offer yoga, the walking club and four bowling groups in July and August. Bowling Groups – Citizens is currently partnered with eight bowling alleys on Long Island. Each group is unique in its size and make up of Members. 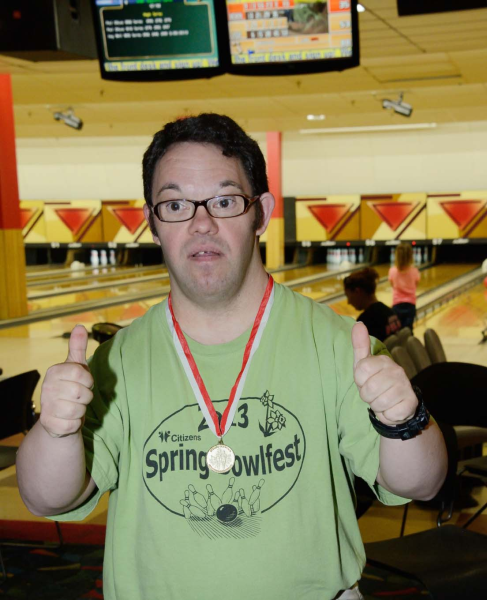 All have a Citizens Bowling Coach that supports Members in their weekly practice. A Spring Bowlfest is held for a small additional cost at the end of the season in celebration of all our Members achievements. Yoga Classes – Six classes are held each week in various locations at an intermediate level with additional support for beginners whenever necessary. Two Instructors are present at each class to allow for personalized guidance and support. Mats are provided and people accompanying Members are welcomed to take the class at no additional charge. The benefits of yoga can include a reduction of stress and an increase of self-awareness, strength and flexibility. Sunday Afternoon and Friday Night DJ Dances – Citizens DJ Dances provide the music and light refreshments for Members to enjoy a night or afternoon of dancing to music from the 70’s, 80’s to today’s Top 40. Dance Chaperones are there to introduce people and lead Members in contemporary dances. Saturday Morning Walking Club – Each week Members meet at Cantiague Park in Hicksville at the Gazebo near the children’s playground area for an hour of exercise. The walk begins a stretch and warm up followed by several laps of the park’s beautiful walking paths. Two chaperones are present at each walk to maintain the group’s focus and motivation. Tuesday and Thursday Night Evening Recreation – Each week Members have a choice of fun things to do as they socialize: crafts, bingo, puzzles and games. On Tuesdays basketball is also an option. Encouraging Recreation Counselors are there to facilitate the activities and support Members to participate at their level. Evening Recreation offers great way to meet new people on a weekly basis. Friday Night Social Exchange – Twice a month Members meet to share their experiences and offer support to each other in a friendly nurturing atmosphere. Members decide what they want to do for fun and make the necessary plans to bring it to fruition. Past adventures include watching a movie at the local library, taking a jewelry making class and sharing dinner from a local restaurant.